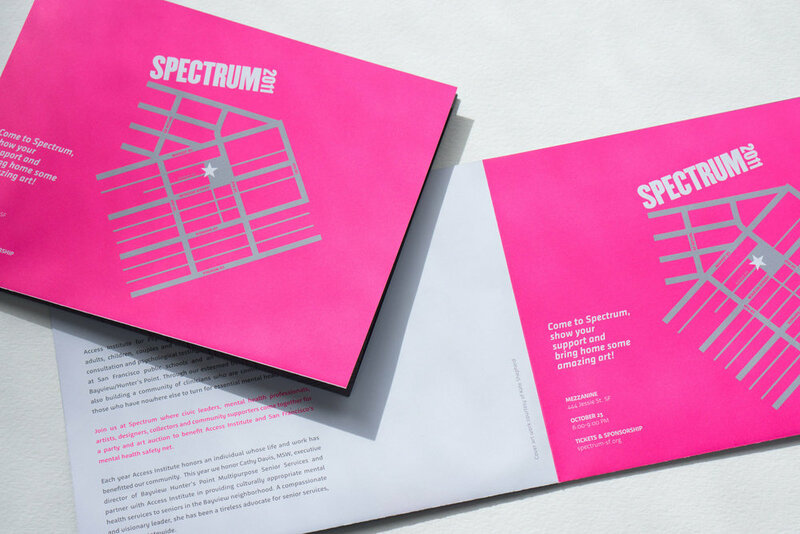 Access Institute, a nonprofit offering free or low-cost mental health care for San Franciscans, holds an annual fundraiser called Spectrum. This event helps raise money and awareness of the privately funded organization. 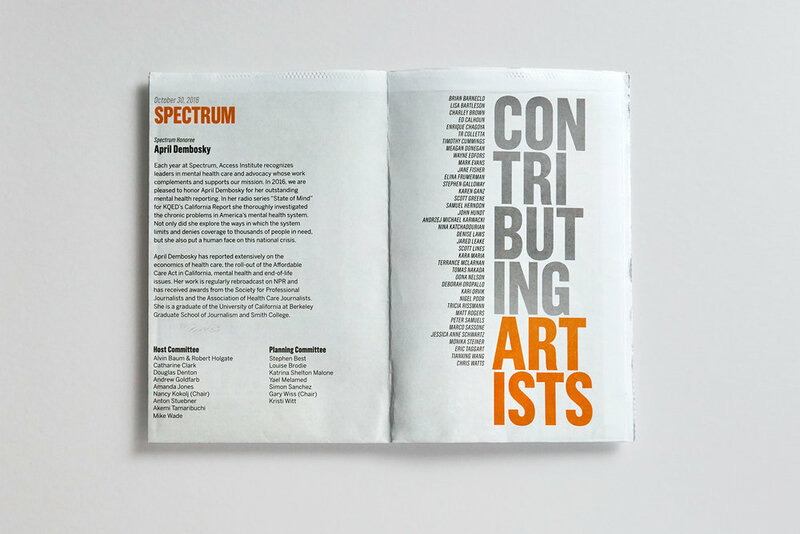 For the last three years I’ve created event materials for Spectrum, including newsprint posters charged with explaining the goal of the event, showcasing the good programs Access runs, and acting as a memorable save-the-date.